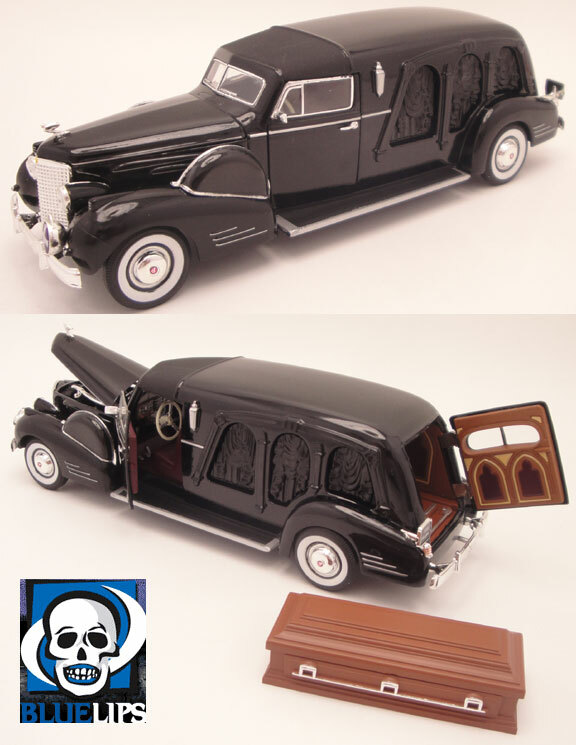 1:32 scale 1938 Cadillac Carved Panel Hearse from the glory days of professional cars. Features opening doors with detailed interior. Hood opens to show powerful V8 engine. Rear door opens to reveal beautiful gothic style casket area with simulated casket rollers. Includes a matching casket. Car measures about 7 1/4" long. This item is difficult to come by and it is now considered a rare collectible.